From the moment you enter the practice you're greeted by friendly people. The staff is professional and attentive. Each exam room has a TV and is clean, neat and organized. I recently had a dental filling performed and it was a stress-free, pain-free, actually "comfortable" experience. 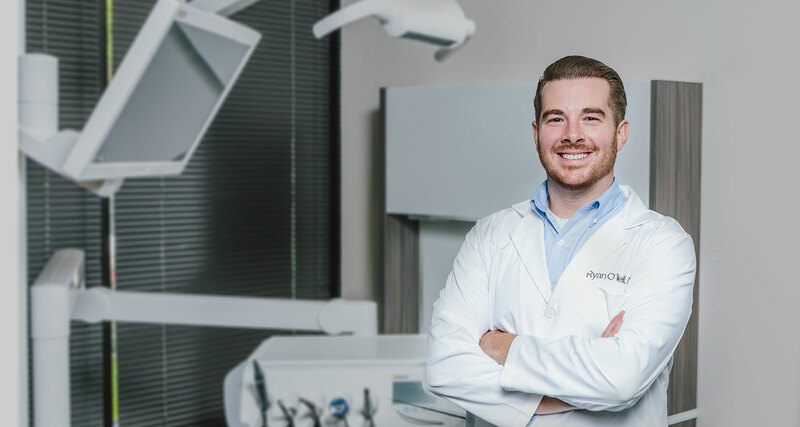 I highly recommend Tennessee Family Dental, whether you need basic cleaning or other more evasive procedures, they are efficient, effective, and painless. I don't love going to the dentist, but I relaxed once I was there thanks to their pleasant attitude and competence. The technician was very attentive, and the doctor thoroughly explained what I needed, using digital photos to illustrate. Their rates are reasonable, and did not leave me with "sticker shock"! I have been to several dentists throughout my life but TN Family Dental is by far the best around!! They go above and beyond to spend quality time with each patient making sure you are comfortable while giving you the best possible treatment. The entire staff is prompt and friendly. Jan has worked with me the past few visits and she's AMAZING! For most, the dentist is something they dread. I, on the other hand, look forward to mh visit and can't wait to go back! As a fellow dentist and patient of Tennessee Family Dental, I can say Dr O'Neill and his staff are top notch. He has a great chairside manner, no pain, and impeccable work! Excellent facilities and amazing staff! I'm new to town and wanted to find a dentist that made you feel like family. This was the place! I had not had a cleaning in several years so Jan gave gave me a numbing gel to make it more comfortable. I didn't even know that was an option. THANK YOU, JAN!…The girls at the front were very sweet and efficient. The converted house gives you a comfortable feel when you walk in for your dental visit. As a client of Tennessee Family Dental of Lebanon, I would recommend them to anyone moving in the area or who just would like to change dentist offices. They take excellent care of me and my family and are the best around town. I'm currently in Nashville for work and when I first arrived, I was in so much pain. I couldn't eat, sleep, or do my job properly. I chose TN Family Dental based on their reviews and I am so glad I did. They scheduled me in immediately, worked with my schedule, and made sure I was comfortable and pain free the entire time. If I lived in the area, I would make TN Family Dental my dentist office. They truly care about their patients and this is by far the best dental office I have ever been to. Great place. I developed an abscessed tooth while on vacation in Nashville. My regular dentist was on vacation herself, so I couldn't get the antibiotics I needed. After calling several dentist offices that couldn't get me in, I found TFD and they we're able to get me in early the next morning. All of the staff was very friendly and helpful. Good experience even with the amount of pain I was in. Would definitely recommend them. Dr. O'Neill and his staff made this dentist fearing girl, a believer in dental care. I have avoided going for so long before them, but whether it's a simple cleaning, or a more intense procedure, they were kind, gentle, funny, and knowledgeable. I really have enjoyed every experience I have has at Tennessee Family Dental and I would recommend anyone to them. The best in town! We love our patients and want each one to have a five-star dental experience at every single visit! The reviews compiled here are all publicly available on Yelp, Facebook and/or Google. Extended Hours • Open Evenings & Saturdays. We’re one of the few dental offices in Nashville that are open on Saturdays from 8:00 AM – 1:00 PM. Are you in pain? Give us call.